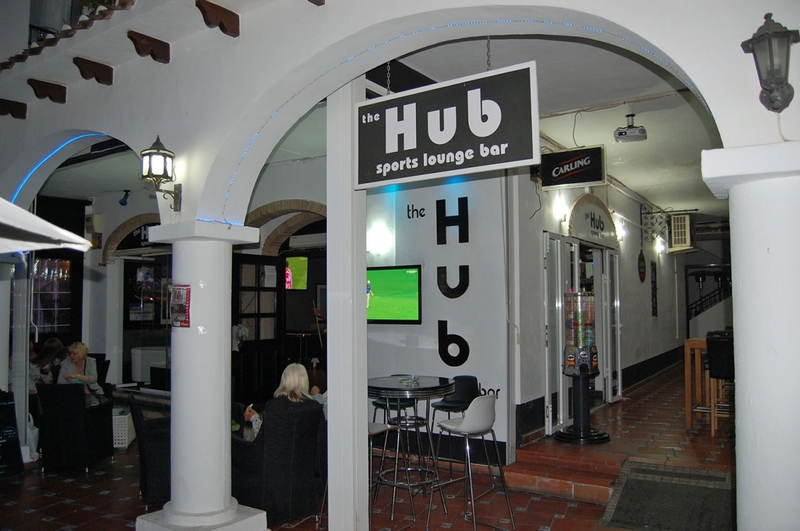 The Hub is one of the most prominent sports bars not only on the Villamartin Plaza, but in the entire Orihuela Costa. Pop in and meet Cameron and Simon owners of the Hub and watch your favourite football team, golf match or even play a game of pool or darts while enjoying your favourite cocktail. The Hub has 10 flat screens to enjoying viewing as well as air con for those hot days and of course your favourite beer on tap or in the bottle. If you’re a Man Utd fan, then join Simon as he cheers his team on. The Hub also has a great golf society so join up and play golf at a discount with other patrons of the Hub. In all, great sports entertainment, a fantastic atmosphere, your favourite drinks and brilliant host, what more can you want – open from lunchtime till late, visit The Hub on the Villamartin Plaza.